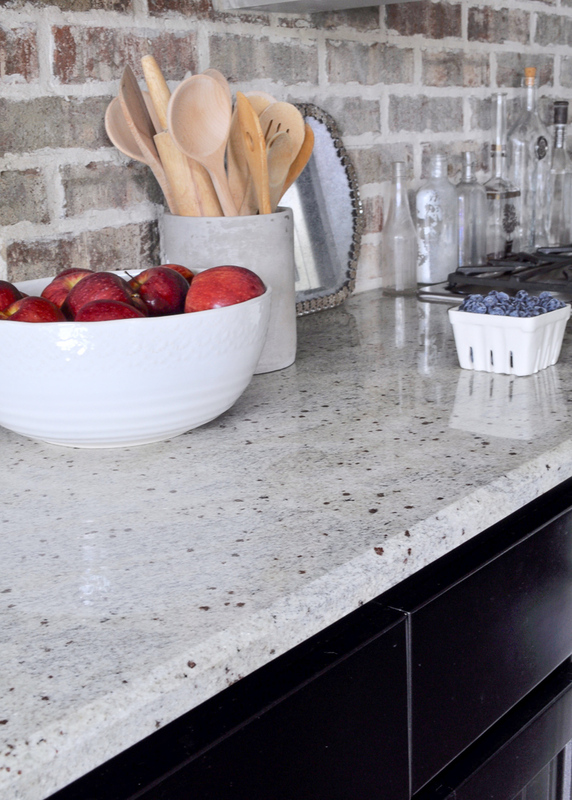 Kitchen countertops can lend themselves to being a perfect canvas for styling and decorating. 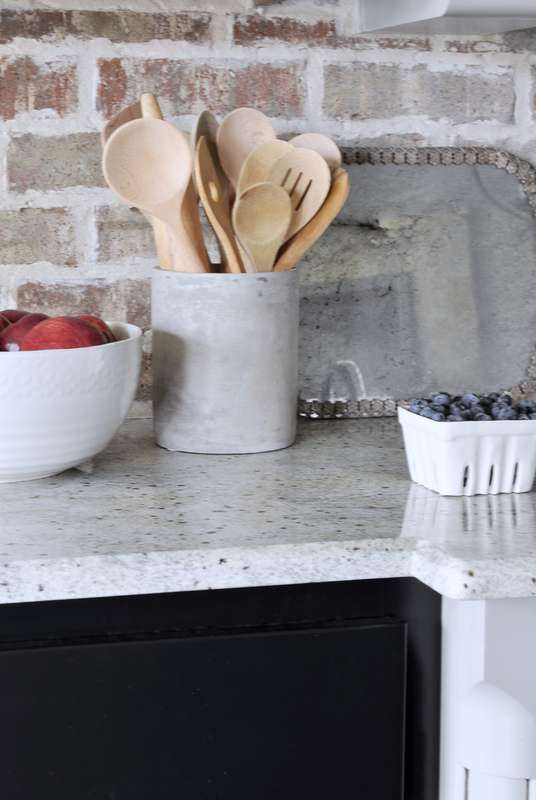 I absolutely love styling my kitchen counters. 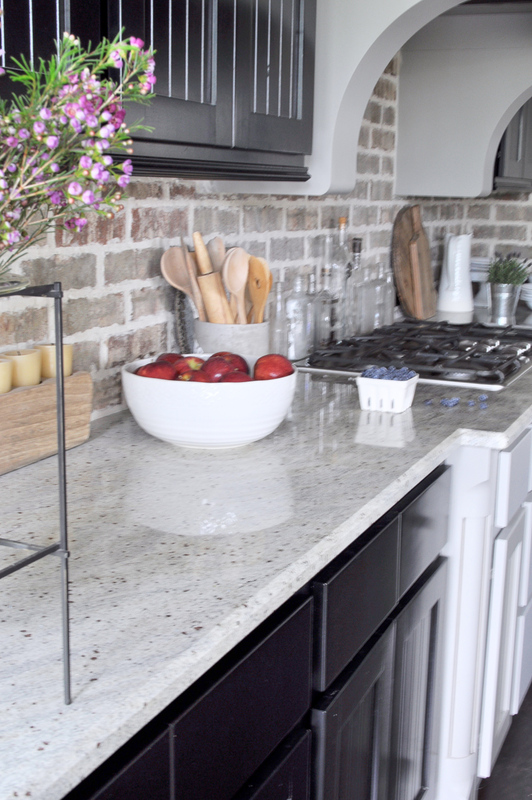 Let’s face it, for those of us with a passion for decor, even if you have a small kitchen, it is a decent sized area that you get to style and decorate. 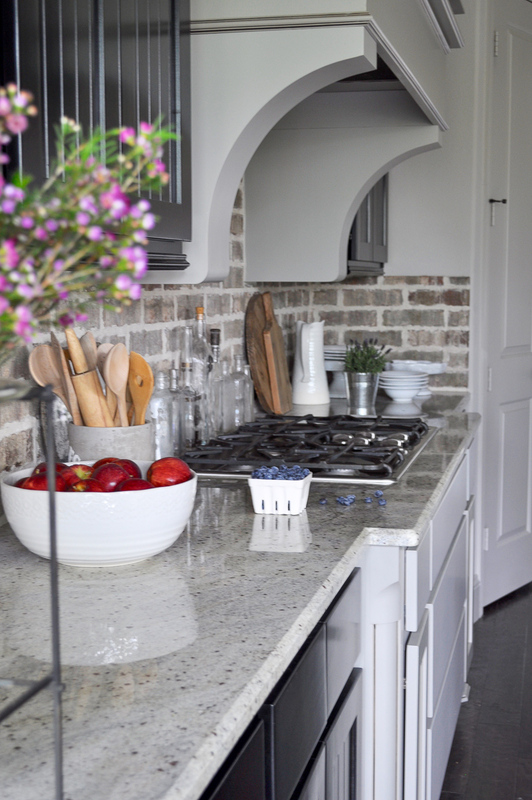 That said, you need space to prepare meals, so the key is finding the balance between beauty and function. Most of my accessories are kitchen items. 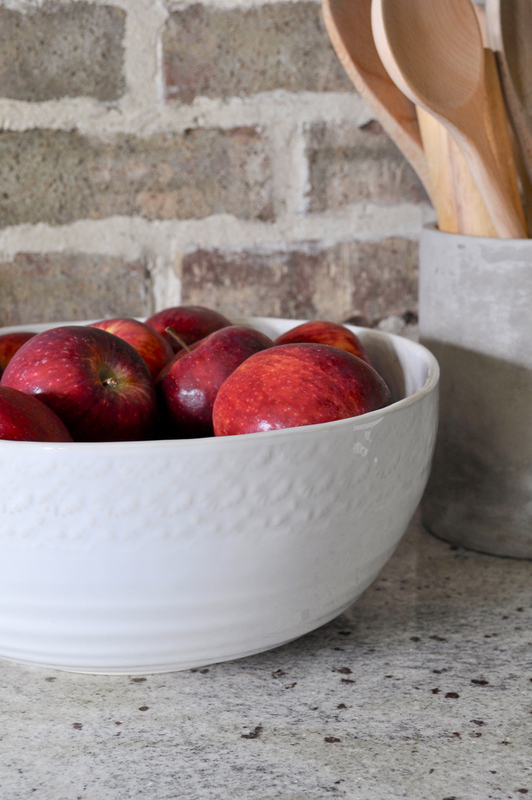 From fruit bowls to cake stands, I try to decorate and style with items that make sense in the room and appear as if they belong. Containers are a good example of this. 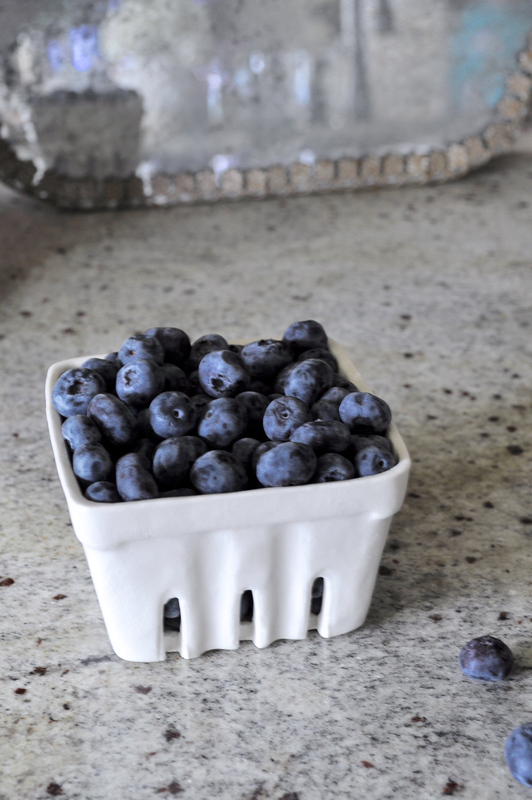 Trays, canisters, and bowls are a lovely way to store and display items. Think of the possibilities. Utensils and fruit are two things I am always using. What are your go to items? I also try to use my decor in unique ways, such as the cake stand as a plate holder you will see below. Try to implement something unexpected to keep a fresh, current look. 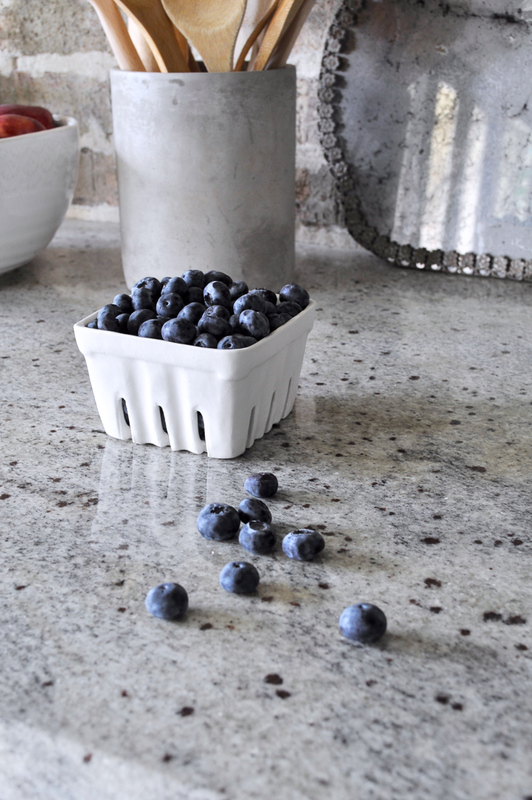 When done properly, your kitchen counters will work seamlessly with the items you chose to style them with. Utensils can be displayed in any properly sized container. You can find this one here. 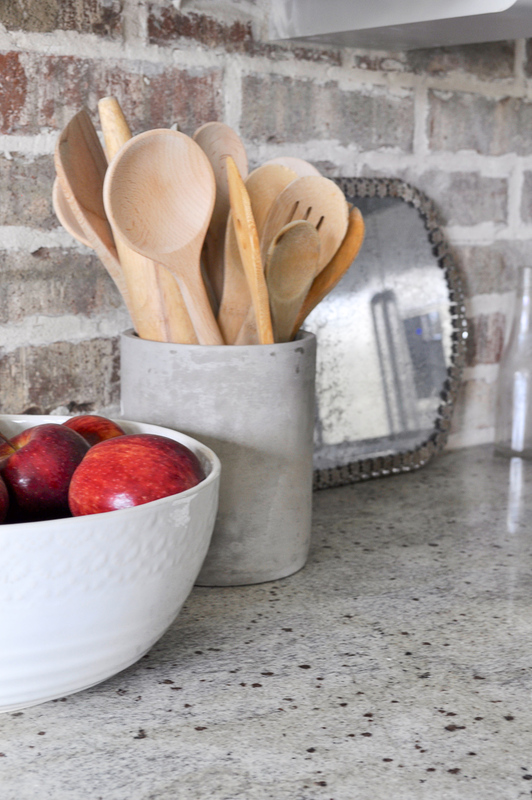 Add interest by creating layers with items that lean against the backsplash. It’s also a great way to hide unsightly outlets and cords. Coordinate with like finishes as I’ve done here with white ceramics and bare wood. 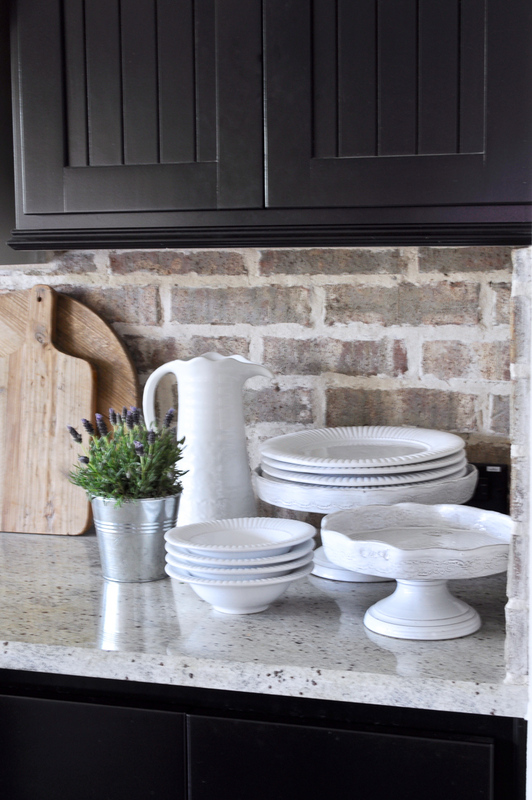 Make sure the items you choose to highlight in this manner coordinate with and/or compliment your cabinetry. You can see that I used the cake stand in an unconventional way. 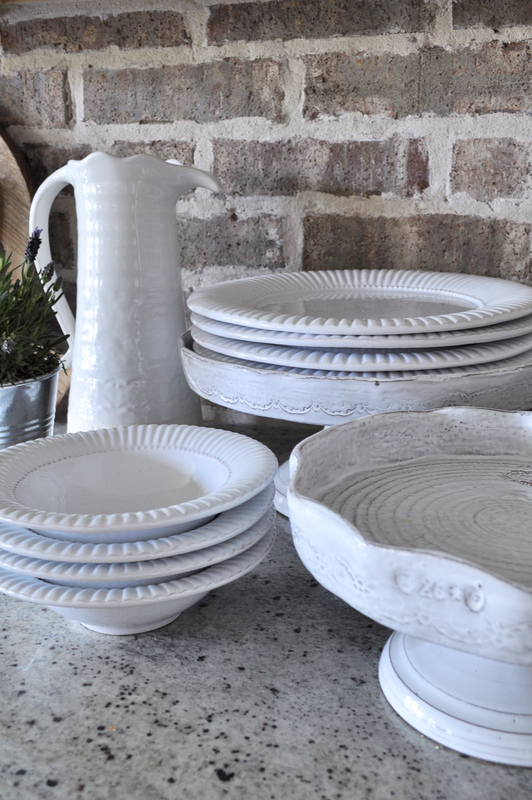 Group similar items together rather than spreading them out and you will have a cleaner look. 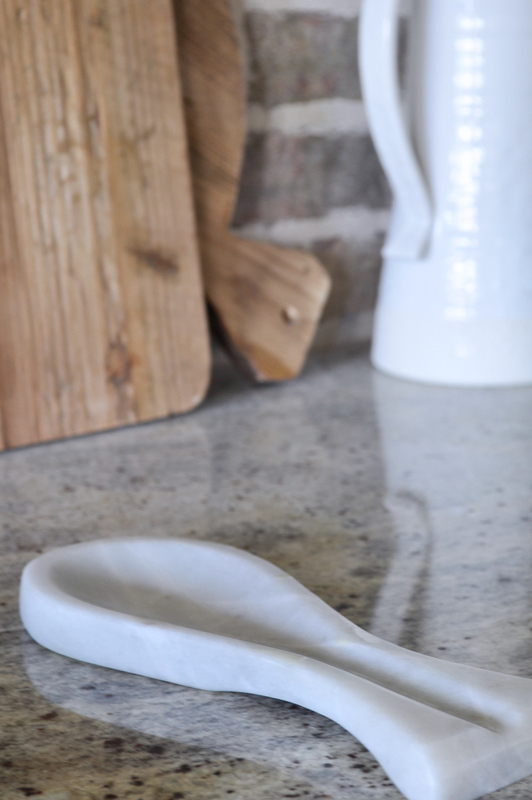 Items that are functional and beautiful are the best choices. Include natural elements whenever possible. 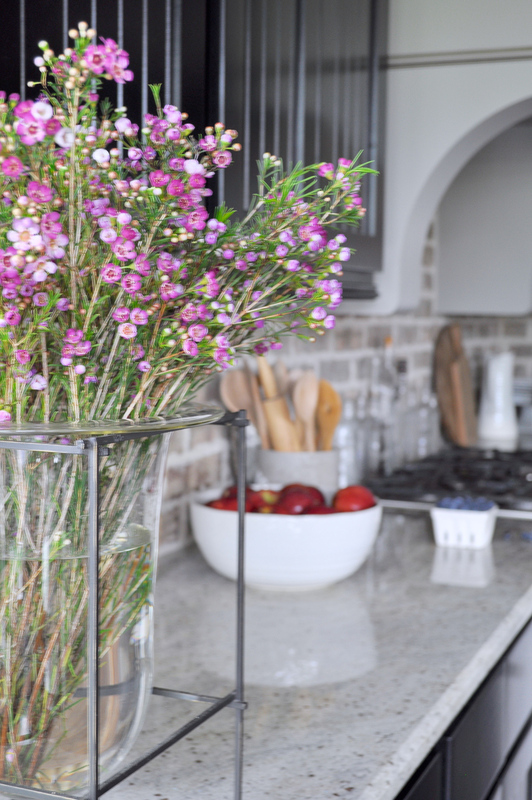 You can see how I used nature in my spring decor here. Fruits add texture and color. I hope you enjoyed this and learned something! I’d love to hear from you in the comments section. Some sources are listed below. Looks amazing, Jen!! And such great tips along with your photos looking fabulous, as usual!!! Thanks so much my friend!!!! Thank you so much Angelique! I appreciate the feedback and I’m glad you found the tips to be useful. Thanks for reading!!! Where did you get your cutting boards? Hi Beth! I found the cutting boards at a small antique shop in Spring, Texas, but they are not antiques. I found a similar one online and put a link to it in this blog post. You will see the picture of it with a few other items in a small strip halfway through the post. If this one isn’t right for you, check back from time to time because I’m actively looking for the source for these and I will share it when I find it. I hope this helps! I live near Spring, TX. 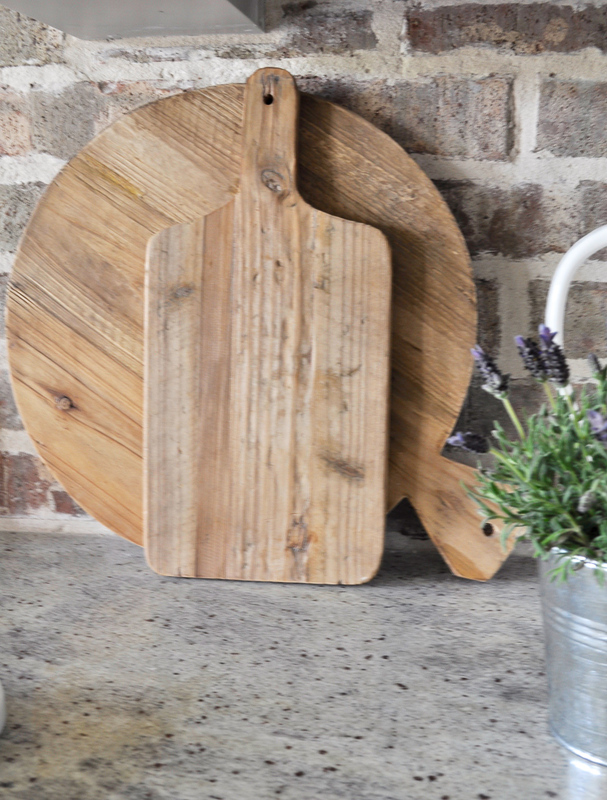 What little shop did you find the cutting boards in? Thanks!! Hello again Mary! It is in Old Town Spring on the main road. If you are facing Thad’s, it is a few down on the left. Without going back and looking for it, I don’t know how to get the name. I hope this helps!! Where did you get the unique vase with the stand? Hi Brittany! It’s from Pottery Barn, but I’ve had it for over ten years. I am actively searching for a similar one because so many people have asked about it. Check back here or on my Instagram from time to time if you like. Your home is beautiful! What color are your kitchen walls , and if the color is the same as your master bedroom? Hi Diana! Thank you so much for stopping by the blog and for your kind words. Our paint is actually a custom blend. It looks light taupe in person. I hope this helps! 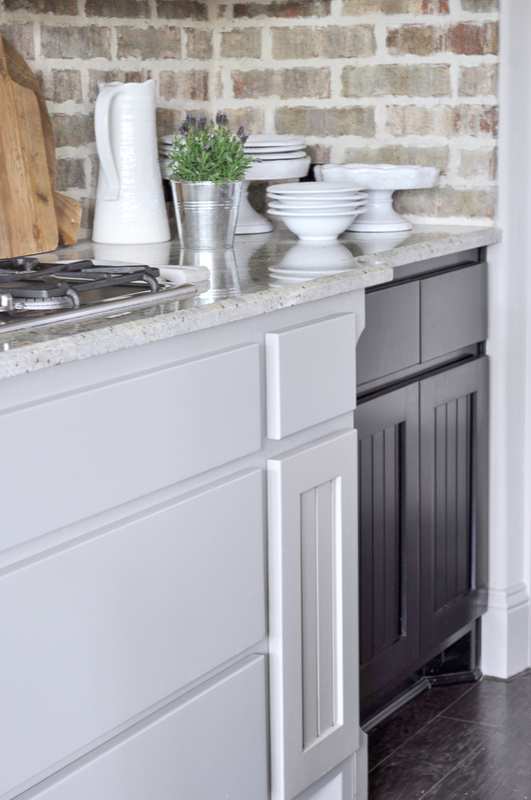 Hi Jennifer- We are currently looking for a similar brick backsplash, neutral but with some color variation. Would you mind sending me any information you have on yours? I would love to see a close up photo! Thank you so much- your home is gorgeous! Thank you Natalie. Unfortunately, our brick has been discontinued for several years. There is some ind=formation about it in the post below though. It also includes some close ups. Hope this helps! Is there a resource post about your back splash? I love the brick. Unfortunately the brick our builder used was discontinued several years ago. I only know it was by ACME. So sorry!